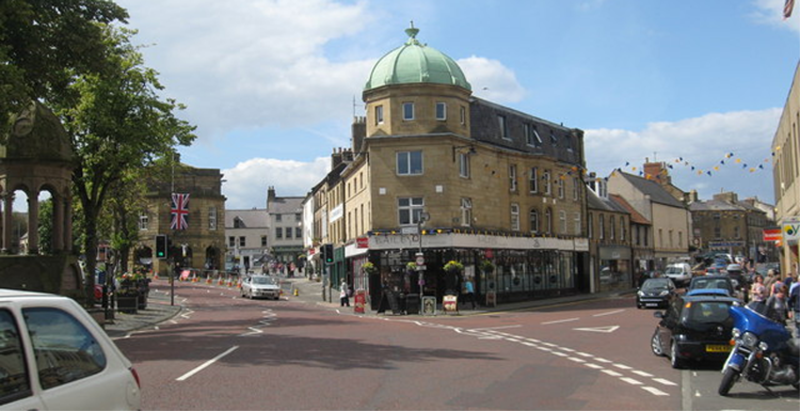 Alnwick’s main shopping area is the located in the town centre. It is split into three main streets, Bondgate Within, Market Street and Fenkle Street. Together they form a triangular circuit around the Marketplace. Bondgate Within has recently had the honour of being voted Britain’s best street for shopping in the 2011 Google Street View Awards, beating off stiff competition from all over the Country. It was the excellent selection of shops, from mainstream shopping chains to independent crafts and gifts, butchers, bakers and deli’s, that gave Bondgate Within the edge. Having a beautiful Market Town setting and a 15th Century Tower at it’s entrance can’t have hurt either, giving a true sense of the perfect Town High Street. I have tried to highlight the most interesting and noteworthy of these shops below. Jobson’s of Alnwick, Scott’s of Alnwick, Bell and Son’s (menswear), G Penrose and Sons, Flowers By Julie, RSPCA, Taylor’s Newsagent, Northumbria Pets, Glendale Paints, Ray’s Menswear, Collectables, The Gate Gallery, The Art House, Trotters Family Bakers, Boots Optician, Dorothy Perkins, Greggs, Stead and Simpson, Boots, Superdrug, WH Smiths, Cancer Research UK, CC, M & Co (Ladies clothing shops), Greenwoods and leading into Narrowgate Moshulu and the Linen Cupboard (Gift Shop). Druridge Bay on the Northumberland Coast is a beautiful living landscape, with miles of golden sandy beaches and a haven for wildlife. 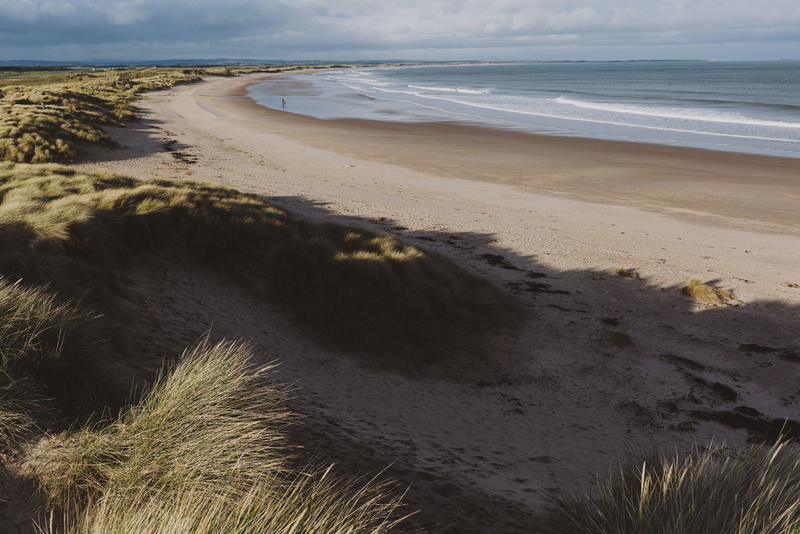 The bay is a stunning seven mile stretch of sand running from Amble to Cresswell and is a popular place for outdoor activities including cycling, walking, paddling and surfing. This beach has a fascinating and varied past, in the 1800’s coal was mined nearby and during World War II Druridge Bay was thought to be a possible landing place for a German invasion. You can still see evidence of the anti-tank concrete blocks that were constructed to defend our shores right through our coastline. Within Druridge Bay Country Park there are a number of smaller nature reserves with wildlife ranging from swans around the reservoir to the rare golden snipe. This makes it an excellent spot for ornithologists or just the casual bird spotter. 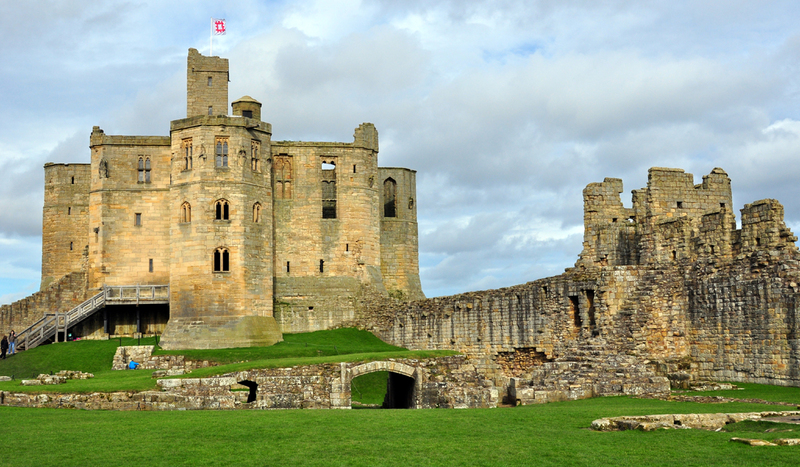 Warkworth is a beautiful, quaint old Northumbrian Village almost completely surrounded by a loop in the River Coquet, about a mile from the coast. At one end of the Village sat atop the hill is the stunning ruin of Warkworth Castle (an English Heritage site) and at the other sits the parish Village church of St Lawrence. The Village itself has thankfully been left almost untouched by modern life and tourism, it’s easy to picture what life would have been like here in the past. In between the Castle and the Church are many Inns, upmarket shops and galleries, gift shops and tea rooms. The castle’s most famous owners were the Percy family, whose lion badge can be seen carved on many parts of their stronghold. 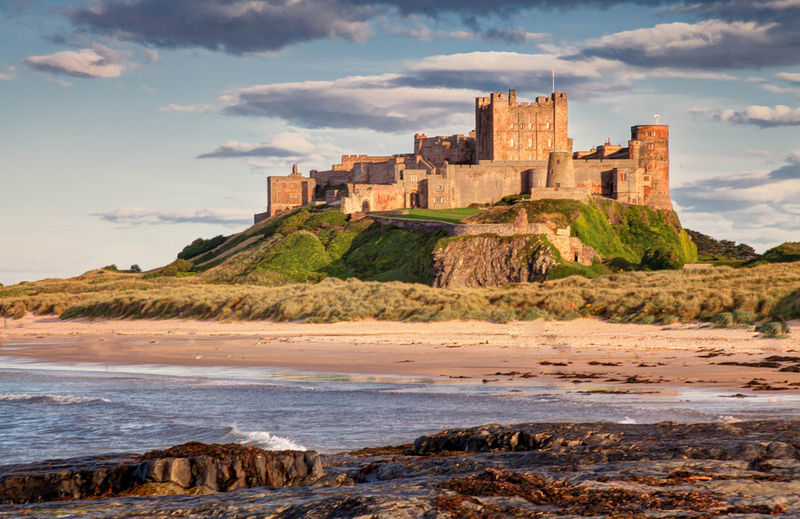 Wielding almost kingly power in the north, their influence reached its apogee under the first Earl of Northumberland and his son ‘Harry Hotspur’, hero of many Border ballads as the bane of Scots raiders and a dominant character in Shakespeare’s ‘Henry IV’. Having helped to depose Richard II, these turbulent ‘kingmakers’ both fell victim to Henry IV: the next three Percy Earls likewise died violent deaths. Still roofed and almost complete, the uniquely-planned keep dates mainly from the end of the 14th century. By far the easiest way to visit Warkworth is by car. There is a public car park in the little square off Bridge Street in front of the church. This does tend to be very busy all year round, fortunately there is further parking by the river. Head past the church and around to the left and you will find further parking in a beautiful riverside setting. Perfect to feed the ducks or have a picnic. Arriva buses do run through the Village, they have a route that connects Amble and Alnwick that has stops on Bridge Street and Castle Street. The nearest train station to Warkworth is approximately four miles North, just outside the Village of Alnmouth. Hope House Farm, Amble is located approximately 8 miles from the Cook and Barker Inn. Phil took over the farm in 2007 with the aim of providing produce for the Cook and Barker which it now does. Texel lamb and award winning pedigree Aberdeen Angus cattle now feature regularly on our menus. 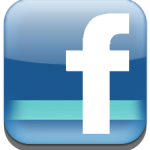 Lamb Produce – Contact the Cook and Barker to place an order for lamb.